Charleston is cross between New Orleans and Boston. It just has a neat vibe. How can you say anything bad about a city that fries almost all of it's food and covers most of it with cheese. Okay ... maybe I'm overstating it a bit, but most menus have the word "cheesy" written on them more than a few times. Walking around Charleston is a throwback in time. It's got that southern charm and you often see horses clopping down the street with carriages filled with tourists in tow. 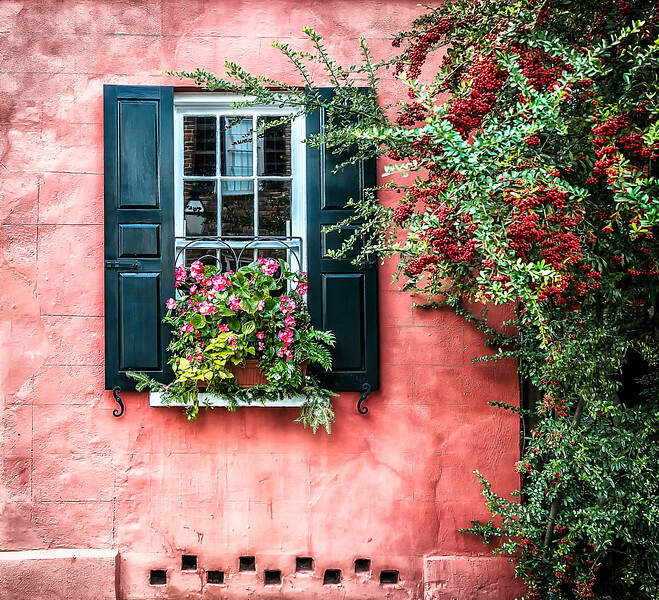 Heading down one of the historic streets, this pretty black shuttered window with it's flower filled window box caught my eye.